A long sickness requires a long recuperation – and so it is with the recovery of an ecosystem that has had a ‘surgical’ intervention. 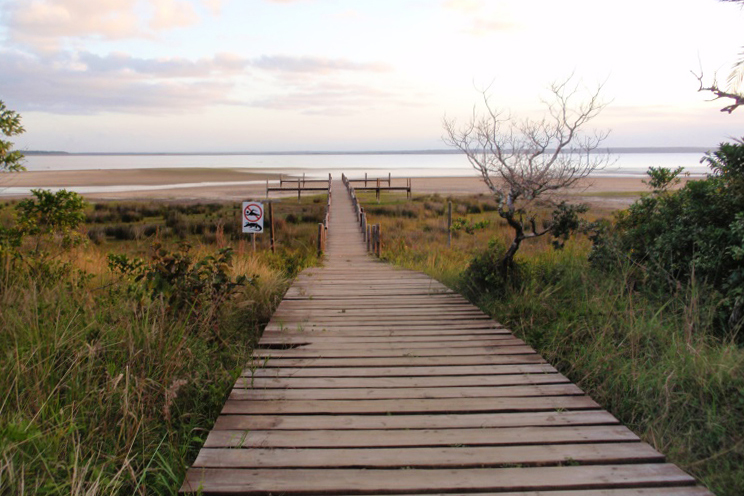 The largest estuarine lake complex in Africa is on its comeback trail after the most concerted and probably the only one-of-its kind restoration effort. The enormity of it has required engineering works of a scale that come close to an industrial effort. 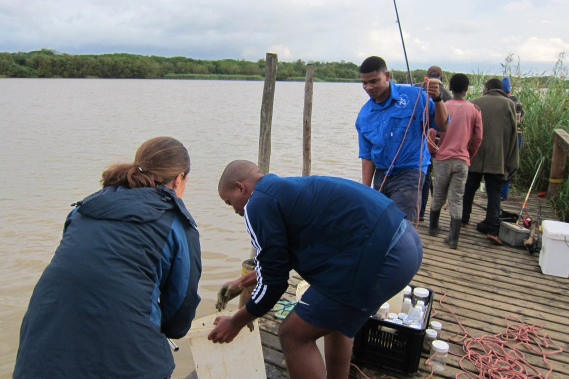 St Lucia at full capacity can support more than half of the entire country’s estuarine functional area. In its virgin state it was a wetland system of epic dimension, two abutting catchments and their rivers entering the ocean through a common exit. At a time when the elasticity of ecosystems was presumed to be infinite, the bounce-back return to a functioning state finally capitulated after decades of having the common mouth artificially separated, intensive use of catchments by agriculture, forestry and the expansion of communities – further aggravated by one of the worst droughts in living memory. 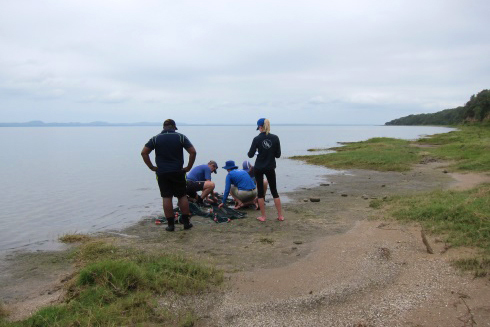 In response the iSimangaliso Management Authority took a bold leap into the business of system repair. 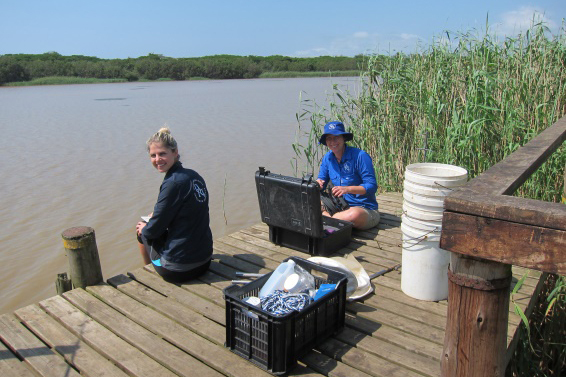 ORI has been part of a larger team studying the system’s response, mostly focussing on the small sediment invertebrate aspects through its various states for over 11 years, including through this new restoration effort. During this time species have disappeared, appeared, dominated, and even invaded from original communities far afield on different continents. 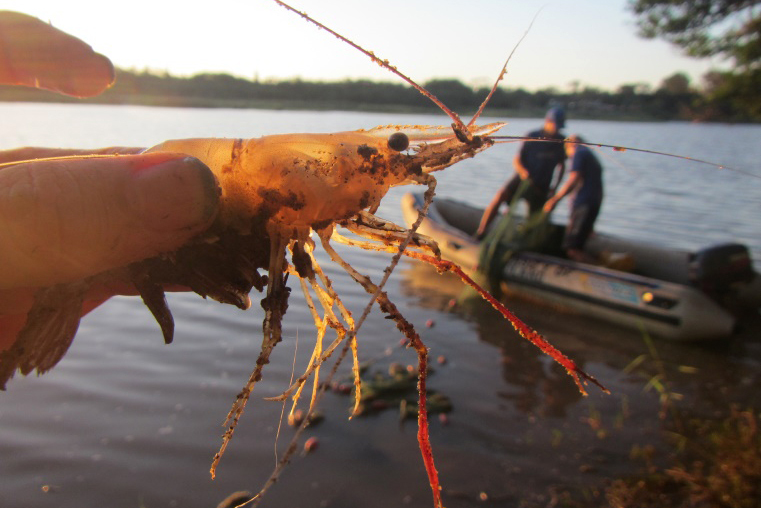 The bi-annual sampling programme has shown that 2018 was the year of the return of freshwater from the new uMfolozi reconnection – in abundance. 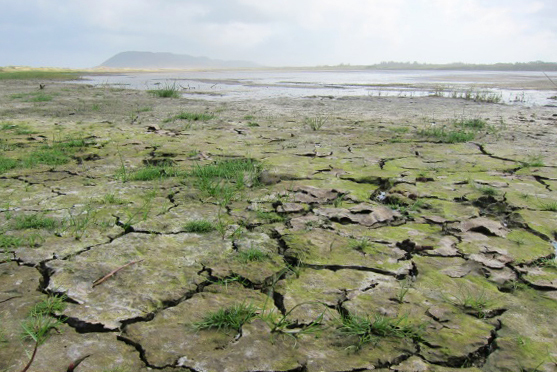 The proof is that where there was dry lake bottom for months on end, there is now water occupied mostly by aquatic insects and other animals that would only live in the fresher, upper reaches of estuaries. 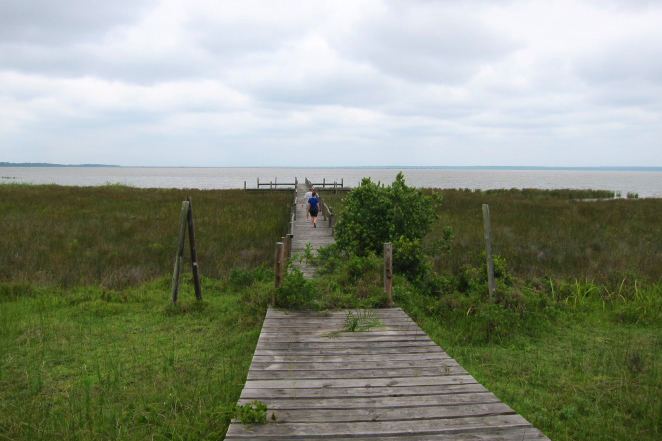 Still awaiting a natural mouth breach to reconnect to the ocean, the estuarine complex – now resembling an inland lake, will remain as such until marine waters enter, accumulated sediments purge out and estuarine conditions return. At that point the establishing communities will let on as to the success of the restoration and likely be the burgeoning, productive environment that once characterised this national heritage and globally important gem. All being well, ORI will continue to provide this convalescent system with regular check-ups as the ecosystem is left to re-balance itself.